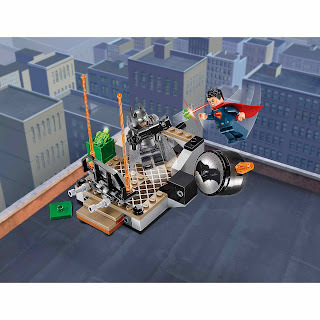 come with a skyscraper rooftop minibuild. 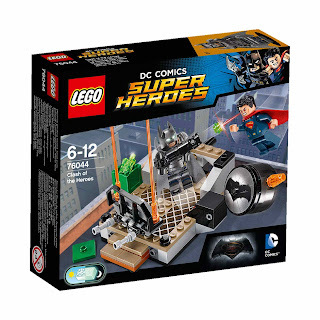 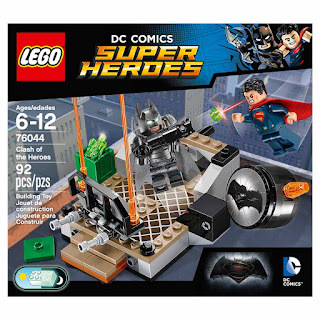 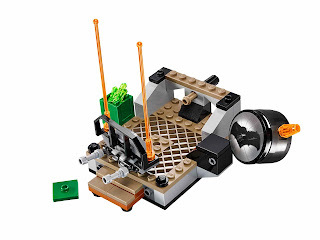 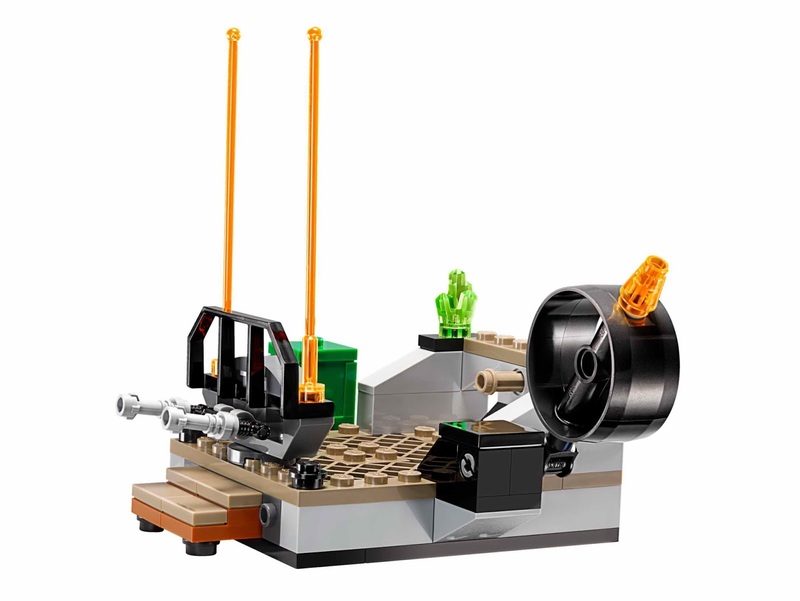 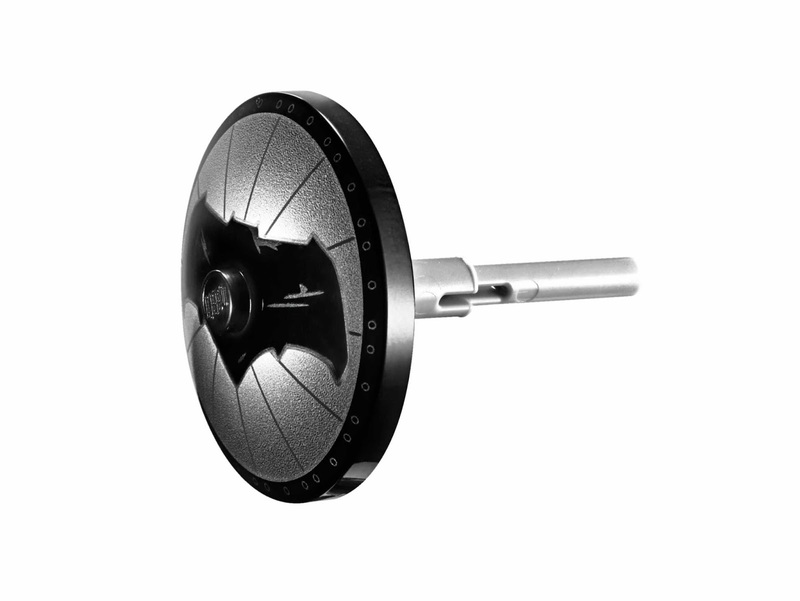 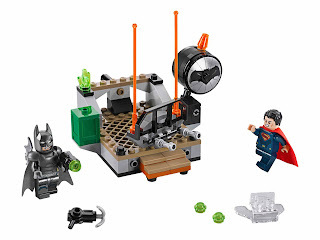 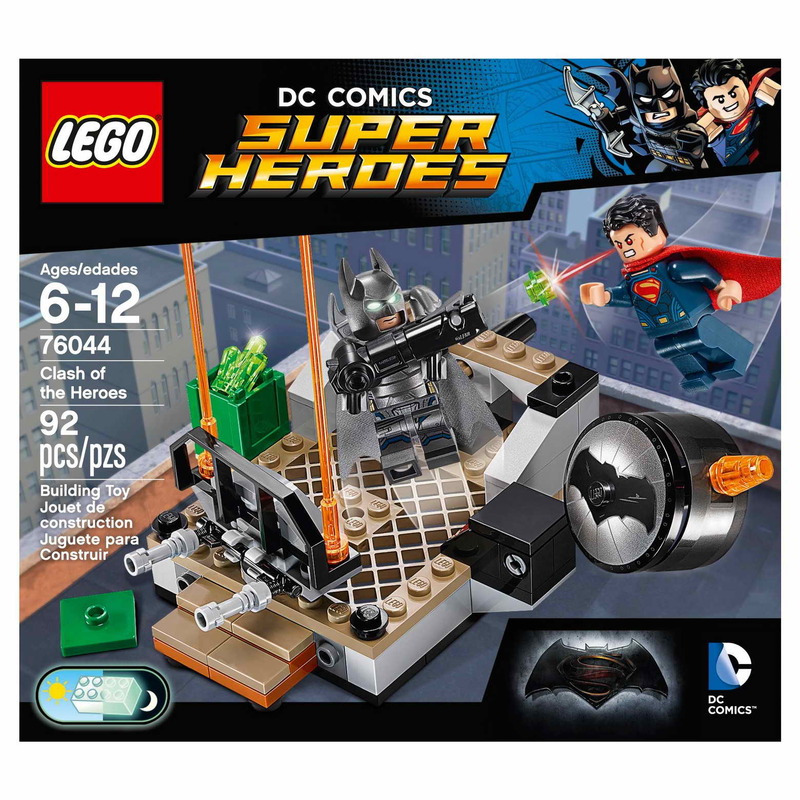 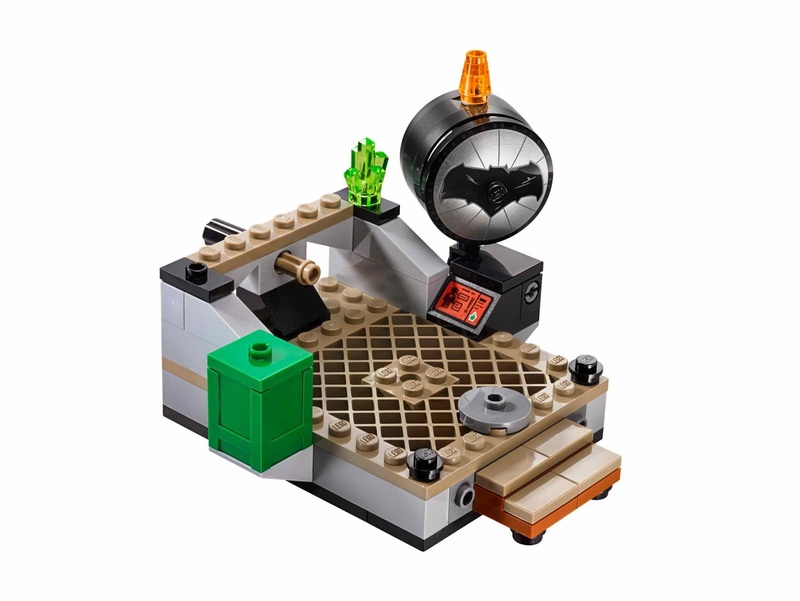 the rooftop has a rotatable and explodable bat signal, a detachable barrier, an armored batman minifig launch stick. 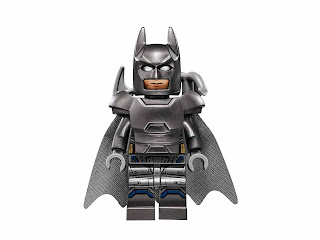 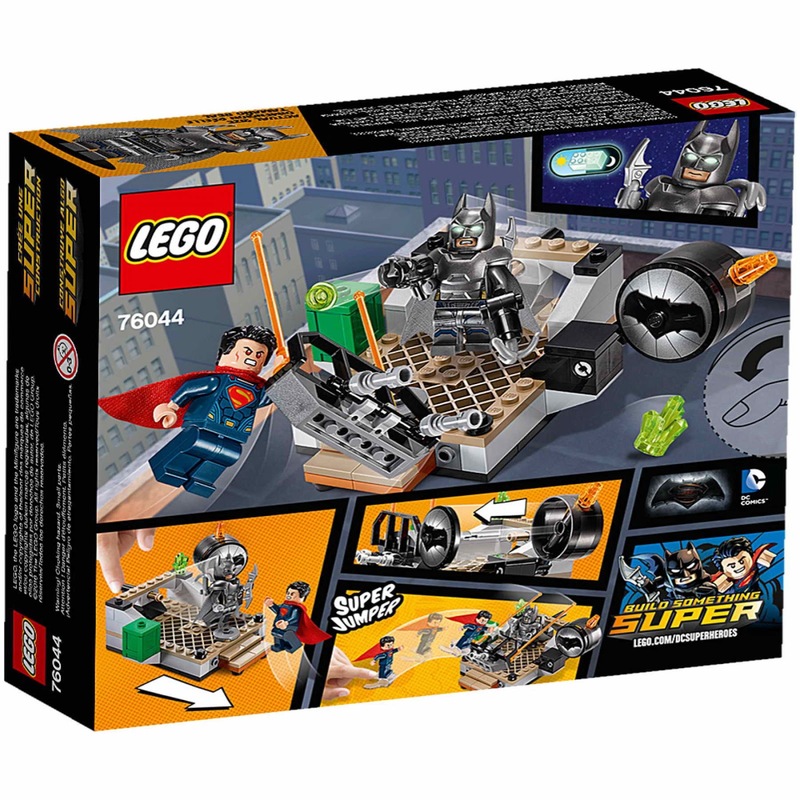 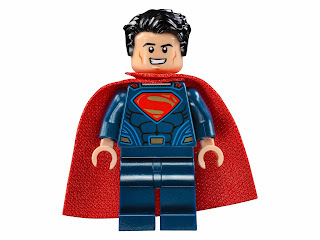 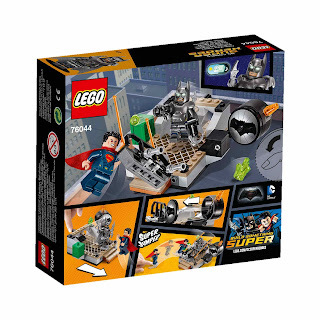 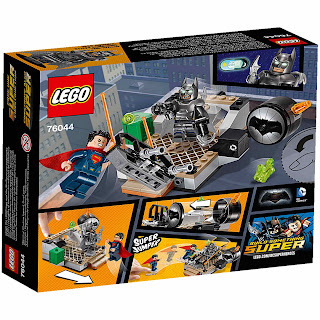 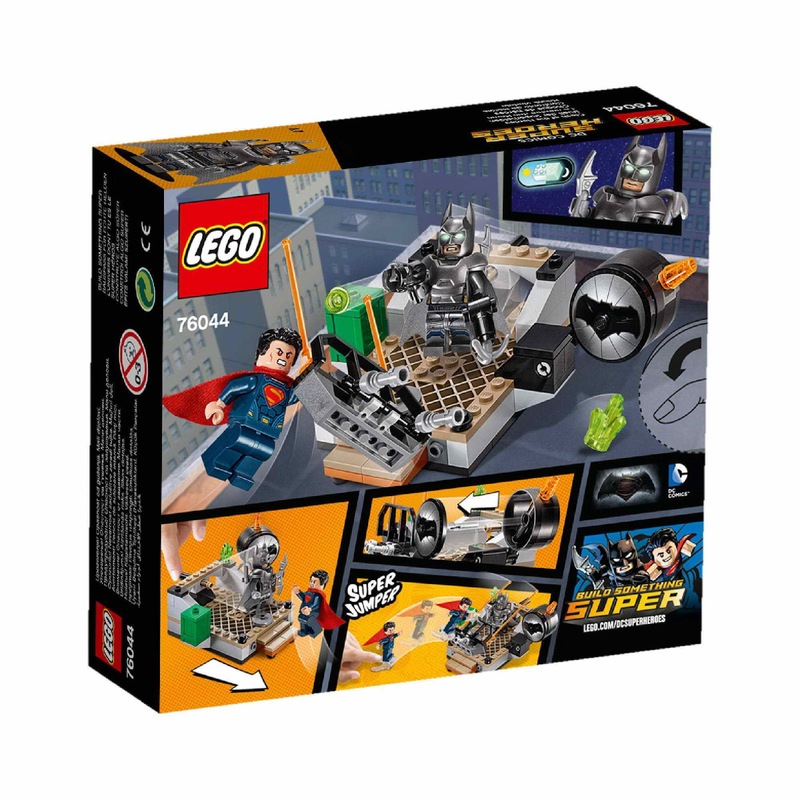 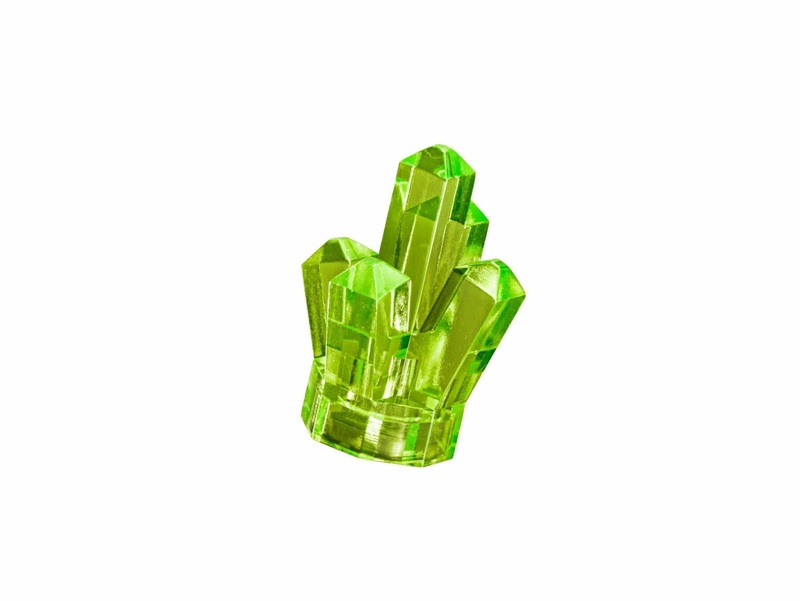 minifigs included an armored batman minifig and a superman minifig.